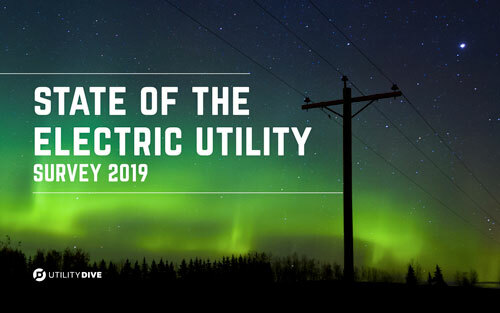 The 2019 State of the Electric Utility Industry Survey paints a picture of utilities in search of clarity: from regulators, policy makers, energy markets, competitors and customers. Utilities are more uncertain than ever about how to move forward as businesses while continuing to fulfill their mandates. Trouble justifying emerging investments to regulators. This problem is not new, but this year even more utilities are struggling to make necessary strategic investments in DERs, digitalization, electric vehicle infrastructure and communication, analytics and controls. Where are energy markets heading? One-fourth of survey participants aren’t sure what kind of energy market, if any, they’ll be working with a decade from now. Also, recent shakeups at FERC and PJM have yielded considerable anxiety about the bulk power system. Climate change is here, and many utilities are struggling to address the mounting risks it poses to their infrastructure, business and customers. Learn more about these and other key current trends for the industry that supports all other industries.